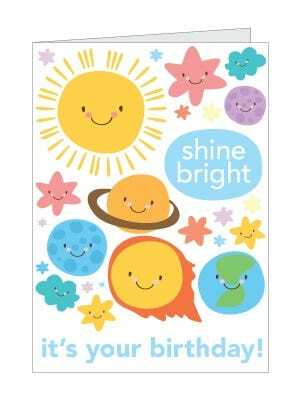 Finding the perfect card to accompany a thought-out birthday gift is sometimes harder than finding the gift itself. 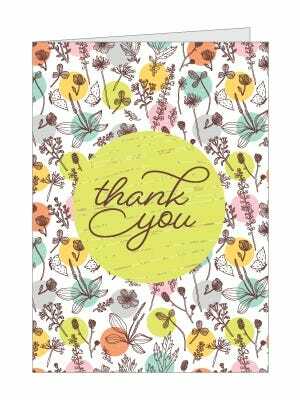 Saying "thank you" isn't always as easy as we think. 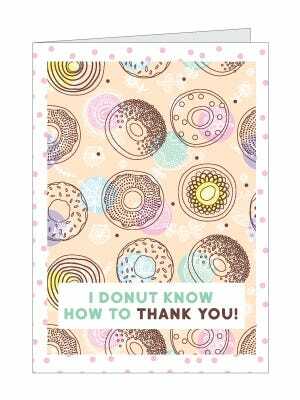 Let these free printable cards do the talking with the beautiful designs and adorable one-liners. 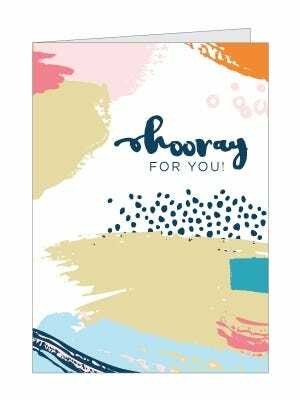 Whether you need a card just because or as a way to celebrate, these blank printable cards allow you to write your own personal messages to a special person in your life. 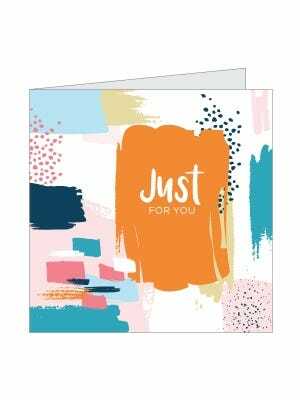 Plus, you get to save yourself time and a headache as you no longer have to go browsing through shelves upon shelves of pricey greeting cards! Click each photo to download a full size PDF! Then, simply print, cut and fold! 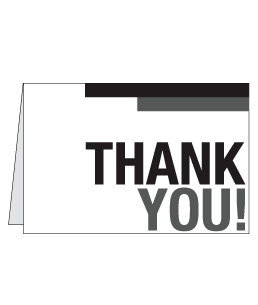 We know you'd love to receive one off these print out greeting cards, so why not give them to the people in your life to show your appreciation? 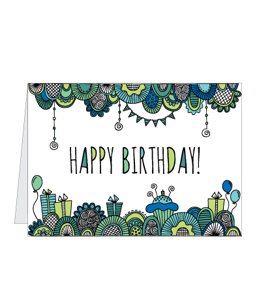 There's always a birthday to celebrate or someone to congratulate! 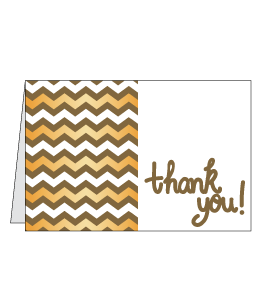 You can even save yourself a trip to the store with the free printable thank you cards above! 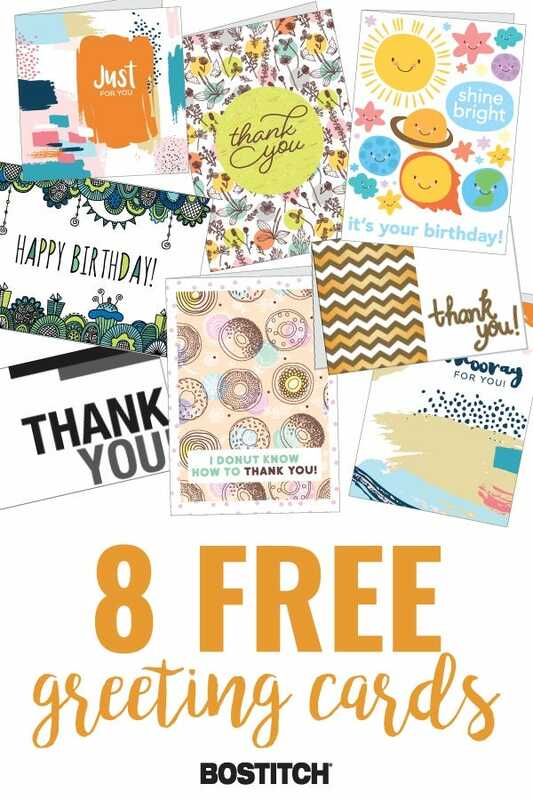 Pair these free printable greeting cards with any of our laminating supplies to go above any beyond with your gift-giving!